Wilfrid Laurier University’s Donna Kotsopoulos is at the forefront of reshaping mathematics education in Ontario. Kotsopoulos, a professor in Laurier’s Faculty of Education and Department of Mathematics, will co-direct the the new Knowledge Network for Applied Education Research (KNAER) Mathematics Knowledge Network, along with George Gadanidis, a professor in the Faculty of Education at Western University, and Dragana Martinovic, a professor in the Faculty of Education at the University of Windsor and the co-director of the Center for Mathematics Education. The Fields Institute for Research in Mathematical Sciences has been selected as the provincial host of the new network. Through the Mathematics Knowledge Network, Kotsopoulos and her partners are working to enhance the teaching practices of Ontario’s educators, increase student achievement in the province, grow parent engagement, and ensure the translation of knowledge from the university to the classroom. "It’s exciting to be ambitious about how we can advance mathematics education in Ontario." To accomplish its goals, the network established four communities of practice: mathematics leadership; critical transitions in student mathematical development; Indigenous knowledge and mathematics education; and computational thinking in mathematics education. The network launched with 16 partners, including school districts, universities, organizational and community partners, such as the Association Francophone pour l’Enseignement des Mathématiques en Ontario; the First Nations, Métis & Inuit Education Association of Ontario; and the Ontario Association for Mathematics Education. “A final partner that really brings us together on a connected platform — across languages and from northern to southern Ontario — is TVO through TeachOntario,” says Kotsopoulos. The partnerships are a reflection of the relationships that Kotsopoulos and her colleagues have developed with people wanting to improve mathematics learning for children. 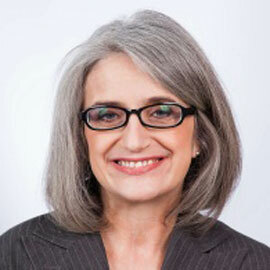 Kotsopoulos, whose research focuses on early mathematical cognition, learning, and education pedagogy, was part of the KNAER initiative launched in 2010 by the Ontario government. KNAER aimed to get evidence-based practices into the hands of Ontario’s educators. As part of this initiative, Kotsopoulos partnered with D2L to explore how primary students in Ontario could use electronic portfolios to document their mathematical thinking. Kotsopoulos, Gadanidis and other mathematics, science and engineering educators in the province have had a very long and robust relationship with the Fields Institute for Research in Mathematical Sciences, which hosts the network. Based at the University of Toronto, it provides a central location in Ontario and an international platform for the new network. Laurier is an affiliate-sponsoring member of Fields.